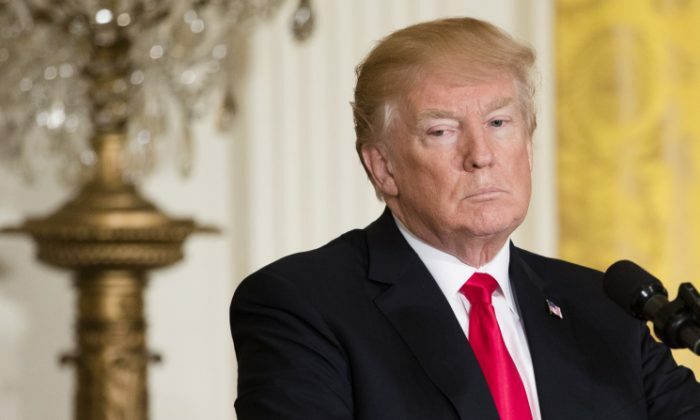 President Donald Trump responded on Saturday morning, March 10, to the fatal shooting at a veterans home where a former U.S. serviceman killed three female employees and took his own life. “We are deeply saddened by the tragic situation in Yountville and mourn the loss of three incredible women who cared for our Veterans,” Trump wrote on Twitter. Authorities identified the gunman as Albert Wong, 36, a former patient of Pathway Home in Yountville, a program housed at the veterans complex for former service members suffering PTSD after deployments in Iraq and Afghanistan. Wong took three employees hostage on Friday. He and his victims were found dead after an all-day standoff. “This is a tragic piece of news, one that we were really hoping we wouldn’t have to come before the public to give,” California Highway Patrol spokesman Chris Childs told reporters outside the facility in Yountville, a picturesque town located in the heart of Napa Valley’s wine country about 60 miles north of San Francisco. Despite repeated efforts by police negotiators to communicate with the suspect throughout the day, authorities said they had failed to make contact with the gunman after he exchanged gunfire with a sheriff’s deputy at the outset of the confrontation. “We credit him (the deputy) with saving the lives of others in the area by eliminating the ability of the suspect to go out and find other victims,” Childs said. The San Francisco Chronicle, citing unidentified sources, said Wong, who lived in Sacramento, had been asked to leave the program two weeks ago. The three hostages all worked for the program. They were later identified as Pathway Home Executive Director Christine Loeber, 48, the program’s clinical director, therapist Jen Golick, 42, and Jennifer Gonzales, 29, a psychologist with the San Francisco Department of Veterans Affairs Healthcare System. “These brave women were accomplished professionals, dedicated to their careers of serving our nation’s veterans, working closely with those of the greatest need of attention,” Pathway Home said in a statement. The Veterans Home of California, a residence for about 1,000 aging and disabled U.S. military veterans, is the largest facility of its kind in the United States. The Pathway Home is housed in a separate building on the campus. The entire complex, its staff and residents were placed under a security lockdown during the siege, which began at about 10:30 a.m. local time (1830 GMT Friday) and ended nearly eight hours later. Childs said officers who eventually entered the room where the hostages were being held found all four bodies there. He did not elaborate on how the victims or gunman had died. The incident began when the gunman calmly walked into the Pathway Home building carrying a rifle during a going-away party for one of the employees, according to Larry Kamer, the husband of one of the program’s administrators, Devereaux Smith. Kamer, who volunteers at the home and was acting as an unofficial spokesman for the facility, said his wife told him by telephone during the siege that the gunman had allowed her and three other women to leave the room where the party was taking place, while three female employees remained behind as hostages. The Napa County sheriff’s deputy who confronted the gunman had arrived at the scene within four minutes of the first reports of gunfire, Sheriff John Robertson said. A resident of the home, identified as Rod Allen by the CBS television affiliate KPIX-TV, said the gunman took the hostages after allowing some people at the party to leave. He fired about 30 shots, the resident said. James Musson, a 75-year-old Army veteran and resident of the facility, told Reuters many who lived there voiced concerns about lax security, saying visitors could walk in and out without restriction and that public safety officers were not armed. “There might be something that might provide a greater degree of security, I don’t know if this event will trigger something like that,” he said.